You must be a member of the Manchester Wine Cellar Group to attend this activity. Would you like to join this group? 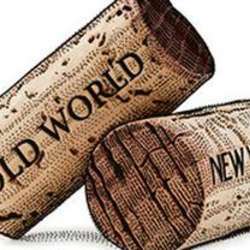 •	New World wines are often described as tasting riper, having higher alcohol, having less acidity, and tasting more fruity. Let's take a tour and explore the music of the wine in our exclusive wine soiree kindly hosted by the William Sicilian Street Food and led by a seasoned wine presenter, whom I recently met (shshshsh!). We will tune in our tasting buds as we savour the same grape varieties coming from New and Old World regions. We will investigate what drives the contrasting (or not) palate experiences. This event is organised specially for the Internation’s Wine Cellar club but you can invite your dates, partners & friends. On this special night our Somm has cherry picked an exquisite wine selection for us to go both red and white as we hop on and off France, Italy, Argentina, Australia, and USA. RSVP with me by Jan 25. Tickets can be purchased in advance by PayPaling me ( Protected content ), directly from the venue through the link Protected content or at the door with 10% premium mark up for us to manage the stock.